US Representative Joseph P. Kennedy III in July 2016. 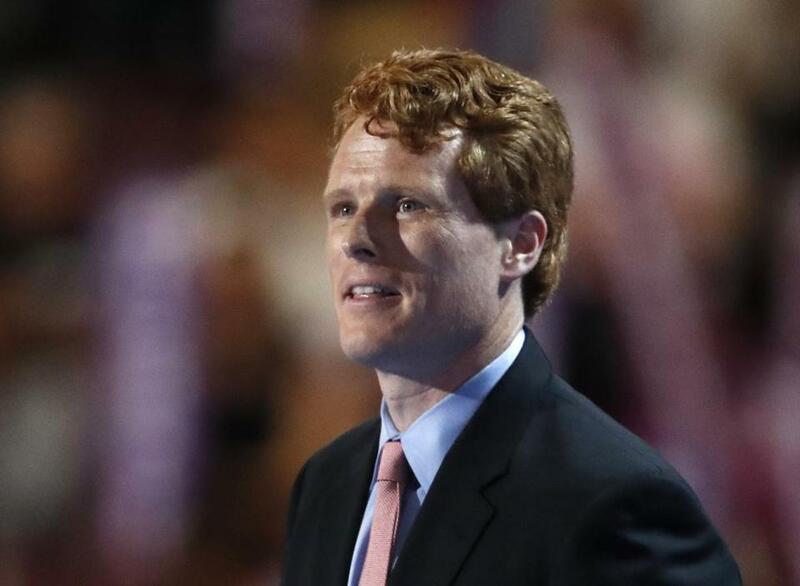 CAMBRIDGE — US Representative Joseph P. Kennedy III assured a crowd packing a Central Square church Saturday morning that President Trump’s administration will not rewrite the “American story,” as he encouraged the group to stand together in the face of potential oppression. “We gather this morning in some dark and difficult times,” Kennedy said, listing actions on the part of the Trump administration that have stoked anxieties in some communities, such as criticism of the press, the stalled immigration order, a potential rollback of LGBT protections, and controversial Cabinet nominees such as Attorney General Jeff Sessions. More than 200 people gathered in a room adjacent to the St. Paul A.M.E. Church to hear remarks from leaders of the local National Association for the Advancement of Colored People chapter, Cambridge Mayor E. Denise Simmons, and Kennedy, the event’s keynote speaker. During a brunch that celebrated the life of Martin Luther King Jr. and raised funds for the NAACP, community members seeking solidarity and solutions came together to discuss voting rights, immigration, and protections for the LGBT community and religious and racial minorities. The event was the first Cambridge NAACP gathering held since 2015, after a year of dormancy and a change in leadership, said Richard Harding, the chapter’s vice president and a committee member of Cambridge Public Schools. “This event is the rebirth of the branch,” Harding said, noting that the brunch sold out. “In a post-Trump era, the NAACP is as important as ever,” he said. The congressman spoke about how people who oppose the Trump agenda can come together to stand up for marginalized citizens and those whose rights have been threatened by some of the executive orders signed by the president. Kennedy’s speech drew a warm response from the crowd, who applauded and cheered as they sat around tables draped with blue tablecloths and gold napkins, the colors of the NAACP logo. “The only way this mission is going to move forward is if you have more people like him,” said Andrea Collymore, 53, an educator who lives in Cambridge. Others took advantage of the opportunity to support the organization financially. Speaking after Kennedy, Simmons encouraged the crowd to remember the progress minority communities made under former president Barack Obama, and to remain vigilant in the coming years. For some, the turnout, as well as Kennedy’s words, brought hope. “I just thought the program was wonderful — to hear Joe Kennedy, to see all the activism,” said Margo Attles, 50, a physician’s assistant from Cambridge. Amanda Hoover can be reached at amanda.hoover@globe.com.